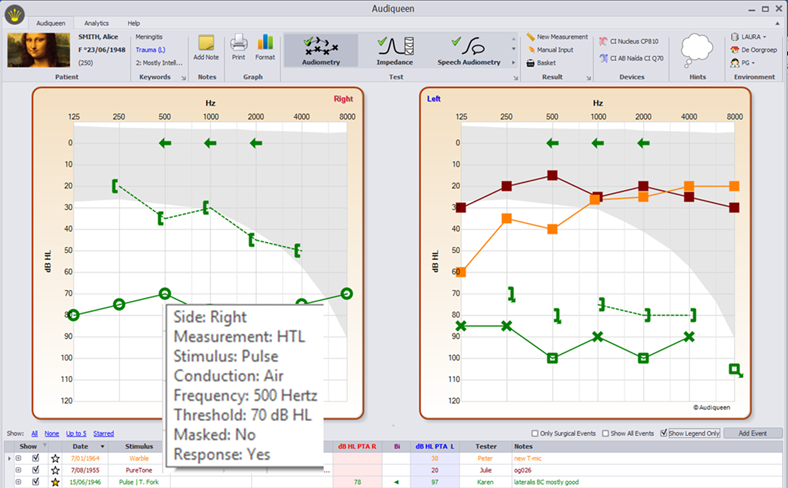 Audiqueen provides storage and visualisation of tone audiometry results. In addition, also MCL and UCL levels, tinnitus tests, Rinne and Weber tuning fork tests can be stored. There are many configurable options, to satisfy the needs of every individual ENT clinic. The user can indicate whether the audiograms were obtained in aided or unaided condition by specifying the hearing aids that were used during the test. Here the audiograms are obtained in an aided condition, with a hearing aid (Oticon Chili) at the right side and an implant (AB Clarion) at the right side. 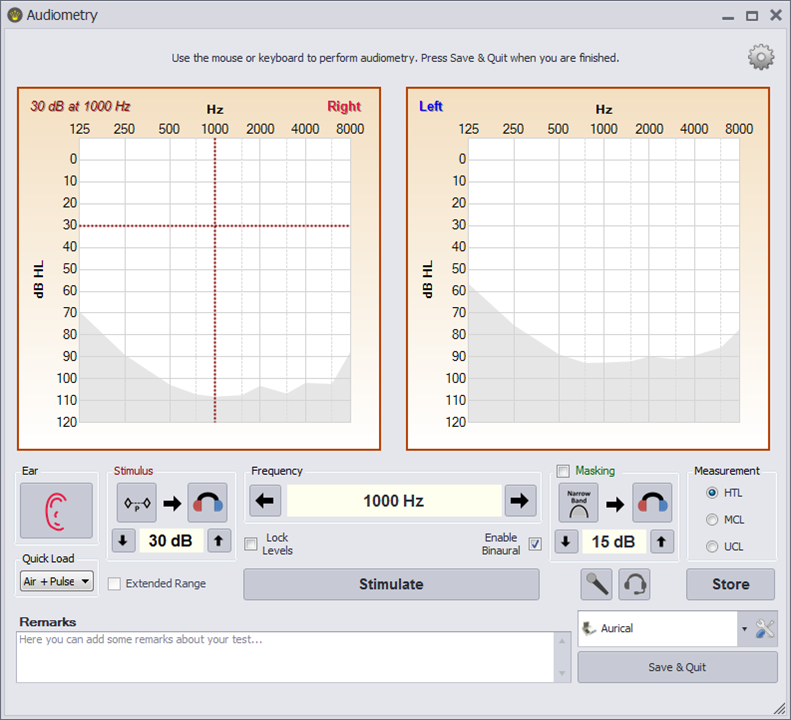 Audiqueen can connect to the most commonly used audiometers, allow you to use the proprietary software that comes with the audiometer and extract the measured audiogram automatically from the instrument. Please refer to the list of supported instruments. Figure showing how Audiqueen opens a third-party application (e.g. Interacoustics Equinox Suite) to connect with the audiometer. The Audiometry window displays all typical functions needed for audiometric testing.